You now have a custom app that will help users gather, store and report on important business data. It’s time to begin adding security to your app, to keep that data safe. Mobile devices make our lives easier by giving us access to crucial information wherever we go — but the portability of those devices makes them vulnerable to theft and loss. Even if your app will only be used on desktop computers, you should still protect your app from prying eyes, especially when it contains private or proprietary information. 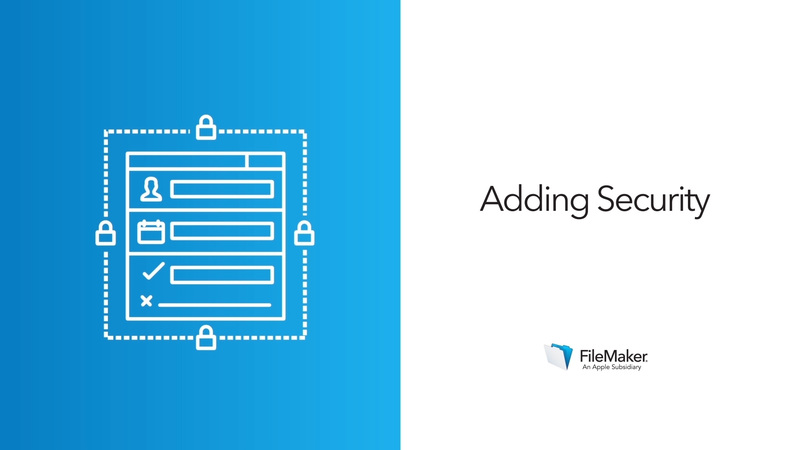 The security features in FileMaker Pro Advanced let you decide who can use your custom app and what they can do after they’re logged in. First you’ll create user accounts and then you’ll set the file to require each user to log in. Every app should have protections against unauthorized users, and FileMaker Pro Advanced makes this simple for you to add. Add security to the sample app by setting password protection and TouchID login.